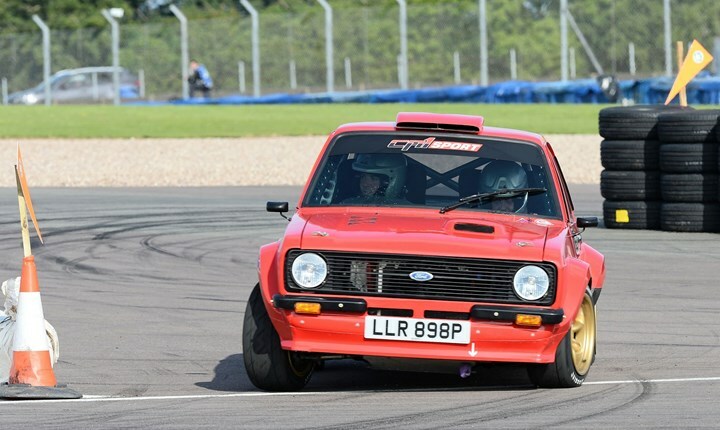 The Donington Park season will get off to a flying start on Sunday 3 March, courtesy of the Dukeries Motor Club-organised Donington Rally, with tickets available now for just £13. Click here to buy now. A massive entry list of 80 cars is anticipated, with the usual eclectic mix of rally thoroughbreds and one off specials, that make this one of the most unique events of the season. Plenty is at stake, with the event forming part of the Motorsport News Circuit Rally Championship, and three regional championships. Cars and their drivers will battle across a number of stages that will see the circuit transformed with tyre chicanes and several other obstacles designed to test competitors to their limits. Expect billowing tyre smoke, burnt rubber and plenty of skill too! The first event of the new Donington season, this will be the first opportunity for fans to see the extensive winter works programme that has been taking place over the winter months at the venue. Meanwhile, all of the circuit's popular spectator areas will be open allowing excellent views of the action, as will the service areas, enabling up close access to the cars and drivers. Tickets are on sale now priced at £13 for adults, while children under-13 go free! For more information click here or call 0843 453 9000.